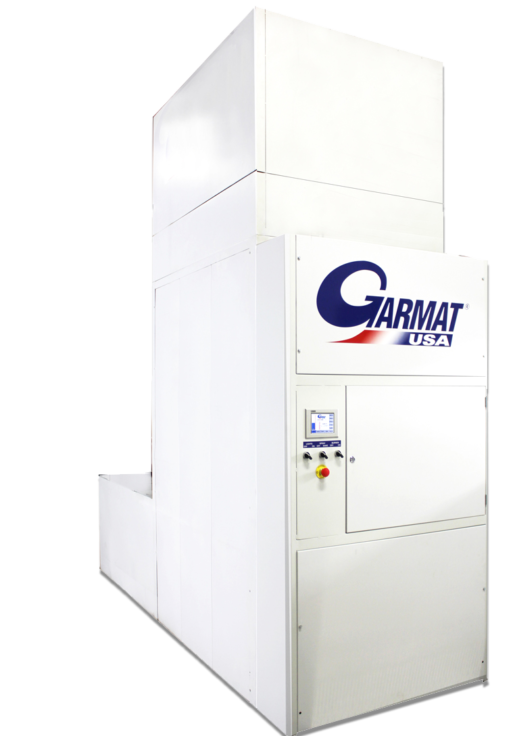 Garmat® USA’s mission since 1988 has been to design and build refinishing equipment that is compliant with local and national jurisdictions. Garmat is committed to incorporating principles of environmentally conscious design and energy efficiency into all of our refinish equipment. The result is an optimal balance of cost, environmental, societal and human benefits while meeting the mission and function of the intended equipment. Our Interactive Panel gives you control of the booth with a touch of the screen – Simple and easy to read menus pop-up offering further information and control. The touch screen allows you to maintain ideal pressures for spraying and curing cycles utilizing only the amount of energy necessary. Garmat USA utilizes color corrected fluorescent bulbs. Optional reflectors are available to achieve more efficient illumination. Lights are placed above and below the belt line for optimum lighting. INCREASE THROUGHOUT of your booth and LOWER YOUR COSTS. Garmat USA has a complete product line of new technologies that keep you code compliant while you INCREASE YOUR PROFITS. Our booths, products and technologies allow you to SAVE Energy, while utilizing new paint technologies.